PARADIGM/SHIFT is an exhibition that challenges viewers to think about contemporary social issues through multiple perspectives. I believe that art has the power to change communities and to change minds. With that aim, I am creating PARADIGM/SHIFT, a solo exhibition at Gosford Regional Gallery opening in July 2019, which encourages people to view social issues from more than one perspective. I am inspired by the social good that art can do, to encourage people to think, discuss and to differ in opinion in a safe, open environment. My aim is to create a space where the audience is free to think, rather than being prescriptive and telling them what to think. This exhibition explores important issues facing our communities including mental health, the environment and especially domestic and family violence (DFV). I grew up on the Central Coast, and it saddens me to know that it is statistically a hotspot for DFV, in a nation where currently more than 1 woman is killed per week at the hands of an intimate partner, and intimate partner violence is the greatest health risk factor for women aged 25-44. (www.ourwatch.org.au). Art can play a vital role in repairing the status quo. A viewer’s interaction with ‘community messaging’ – an advertisement, brochure or, in this case, an artwork – allows them to consider whether the behaviour from their intimate partner is acceptable. As the exhibition is free and the gallery is attached to a café, event space and garden, there are varied demographics who may be in contact with this message. I have partnered with Coast Shelter (www.coastshelter.org.au) for research and as a contact service for anyone needing practical assistance. The exhibition will be comprised of three painting installations. Each is 2m high and the biggest is 5m long. The artworks engage the viewer by requiring them to walk from one side to the other to experience the ‘other’ side of the binary. There will also be a digital installation featuring multiple internal monologues of different people’s experiences. The audience will be able to change the audio channel, showing how our past experiences shape our perception of reality. 1. In this campaign, all Australian donations over $2 are tax deductible. Donations will cover materials, construction, filming, post-production and marketing. Raising more than my target will allow me to tour the artworks to other regional locations. More exhibitions = more people thinking about these important issues. You can give me a like, comment, follow, share on Facebook and Instagram. Visit www.natalieverriest.com/support for more. The show is on from July 20 – Sept 8 2019. 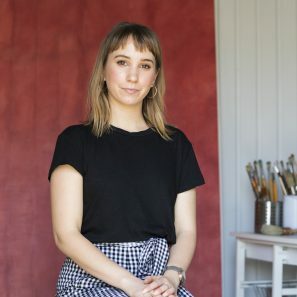 Natalie Verriest is a Sydney based artist working with oil painting and digital installation. The recurring theme in her work is the relationship between individual and collective ways of thinking. 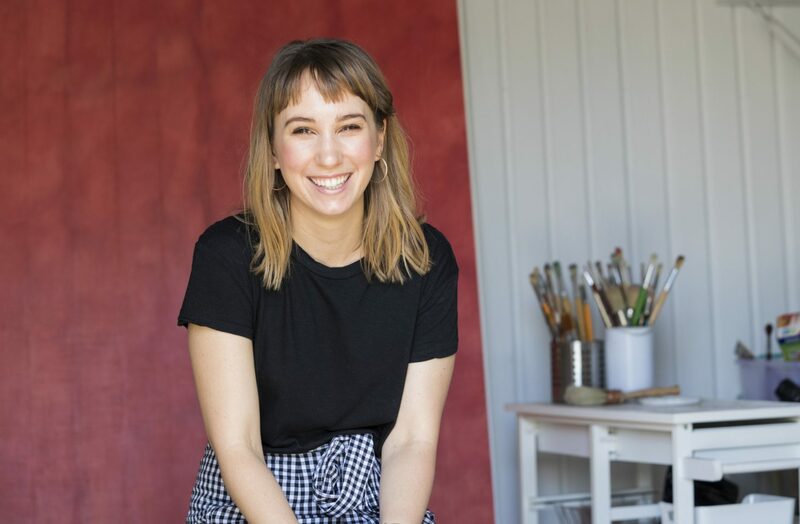 She has been featured on Vogue.com.au, was the 2017 winner of the Emerging Art Prize and in 2019 will have her debut solo exhibition PARADIGM/SHIFT at Gosford Regional Gallery. This exhibition will provide an opportunity for the community to see disability differently. I hope the viewers will leave the exhibition feeling more positive about a society that embraces different human abilities. ElectroCities is a three-part online net.art Residency program and lecture series connecting artists and audiences all over the world through the Internet.